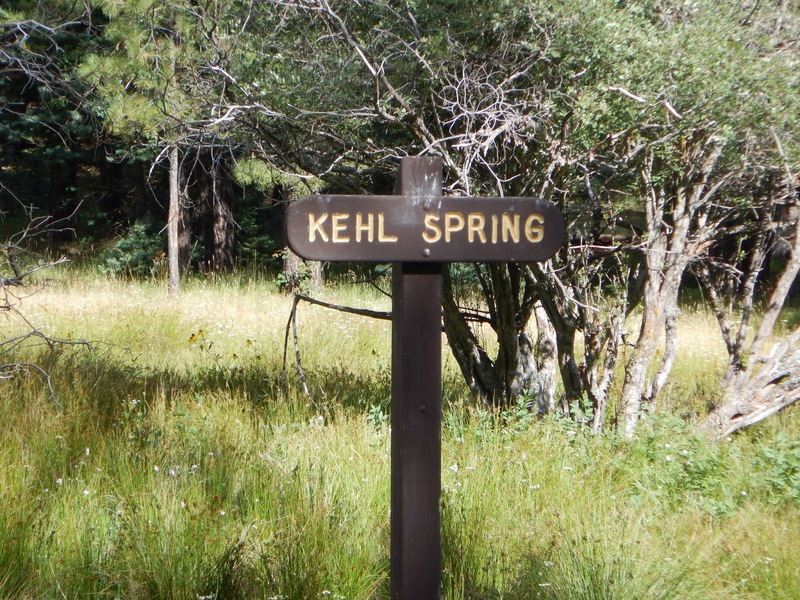 Destination: Kehl’s Campground on the Mogollon Rim, Northern Arizona. This was to be our maiden voyage with our Arctic Fox 990 Truck Camper. We loaded our two dogs into the back seat of our Ford one ton truck and headed out. Stocking a truck camper for the first time is like filling a studio apartment. We had talked about it for weeks, talked about what we would need, strategized and generally exhausted the topic. Regardless, we made 3 stops on the way out of town – Walgreens for a first aid kit, Walmart for blankets and of course Starbucks. We would only be gone overnight but were stocked with enough food and wine to last a week. Kehl’s Campground is a beautiful place on the Mogollon Rim. The cool pines are a welcome escape from the Phoenix heat. The campground is named for the spring near by. The campground had picnic tables and a fire ring, but no hook-ups. We were on our own, as much as you can be in a truck camper with a bathroom, refrigerator, stove, microwave, queen size bed and a dinette. OK, admittedly we were not roughing it. The girls seemed to love the trip, new smells and cooler weather. It’s a dog’s life! Sam was enjoying a rare event of relaxation for him. The day was overcast but never rained while we were at the campground. First dinner in the truck camper was seared tuna and grilled broccolini and mushrooms. As usual Sam spoiled us with his grilling skills. Sam is challenged to cook for just two people, he usually cooks for a party of 8. Makes for good leftovers. We had large visitors after the sun went down. As we were walking the girls around the campground after dark before we got them in the camper for the night and Sam was buzzed by something loud and large. When we got back to the light of the camper we saw many of these and he knew what had buzzed him. Beautiful June beatles, but disconcerting when they fly into you in the dark. This was Bella and Missy’s first overnight in the camper. Both are self proclaimed indoor princesses, but they really seemed to enjoy the cooler weather and the smells of the outdoors – so different from the concrete sidewalks of their Goodyear neighborhood. They were exhausted! The view from the Mogollon Rim as we were driving out the next morning. We enjoyed Kehl’s Campground – quiet and a great place to get away for a few days. This will be a go to when the Phoenix heat hits 115 degrees.